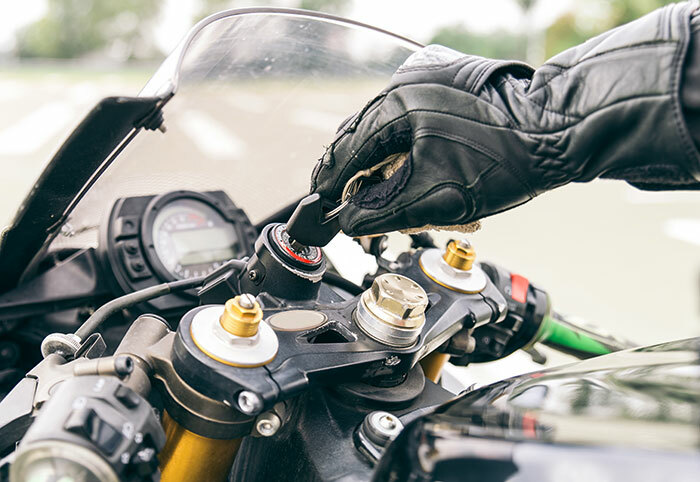 As a proud family owned and operated business, Ostan Locksmiths are dedicated to offering a dependable motorcycle locksmith service that you can count on. Owner Michael is a passionate motorcycle rider and enthusiast. With more than 20 years experience, his skills and expertise in locksmithing really are second to none. Ostan Locksmiths are fully qualified and hold a current Private Security License. We use the latest techniques and tools, specialising in key programming for motorcycles equipped with a factory immobiliser. We understand how frustrating it can be to have lost motorcycle keys, or worse have them stolen, and be left stranded, feeling helpless. Through our professional and reliable service, we strive to get you back riding as soon as possible. All too often, we hear of clients being quoted excessive sums of money for motorcycle ignition key replacement and ECU (Engine Control Unit) reprogramming. At Ostan Locksmiths, we focus on providing a cost-effective and efficient service to our customers. With our unparalleled level of experience and specialised industry tools, we are able to extract the key registry data from your ECU, program a new master key and also de-code and cut a mechanical key for the ignition of your motorcycle in a timely manner. If you are located within the Melbourne Metro area, you don’t need to worry about transporting your bike to us – we will come to you. Simply fill in our online form to tell us where exactly you are located. Our timely and efficient mobile motorcycle locksmith will program your motorcycle key at your location while you wait. Ostan Locksmiths are able to clone Master and Non-Master keys. This process is economical, fast and reliable. Most keys are copied within 5 minutes, while you wait. Replacing your red key, or master key, can be an expensive and time-consuming process if you order an original from the manufacturer. We can create a new red key for your motorcycle at a fraction of the cost and in a much shorter time frame. Whether you are living locally in Melbourne Australia, or you are overseas, we can assist you with your motorcycle locksmith issues. After we confirm your bike ownership details, simply send us the ECU. We can reprogram the unit and keys, then return them in working order. We have helped clients from as far as Tahiti and Central Africa to solve their issues. We take great pride in delivering a top-rate ECU reprogramming service, no matter what your location. As ardent motorcycle enthusiasts ourselves, we understand the worry that comes with your motorcycle keys being stolen. With a key to your vehicle out there, it would be worrying knowing that someone could potentially use the stolen key to drive your bike away when you’re not around. However, by using our programming services to reset your ECU and recode your transponder key, we can ensure that your old key will no longer be usable. With this peace of mind, you can rest easy knowing that your motorcycle is safe and sound. We work closely with motorcycle dealerships, helping with any locksmith related need. We carry a large stock of ignitions, key readers and ECUs. Please enquire about our dealer discounts. Whether you need to retrieve a broken key from the ignition, replace the master key, duplicate a non-transponder key, or reprogram, or replace the ECU; we are available to assist. At Ostan Locksmiths, we believe in staying up-to-date with the very latest technology, trends and methods to efficiently work on almost every motorcycle brand. More than just our job, working with motorcycles is our passion. We always strive to deliver the best possible service and utilise the best industry practices to ensure we deliver a motorcycle locksmith service that you can rely on.